Harlequin shrimp (look closely!) 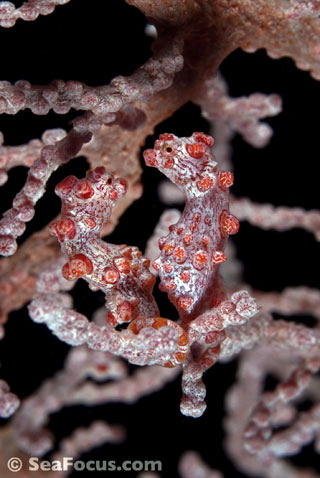 and Pygmy seahorses. delightfully romantic planned for your significant-other-diver! There's plenty of inspiration here. We post some curious and unusual news items on Facebook The feed above sometimes it takes a while to pull in. Click here if it's not loading. SeaFocus scuba diving reviews are based on personal experiences at worldwide scuba diving destinations, dive liveaboards and resorts. We do not review places we haven't been to! 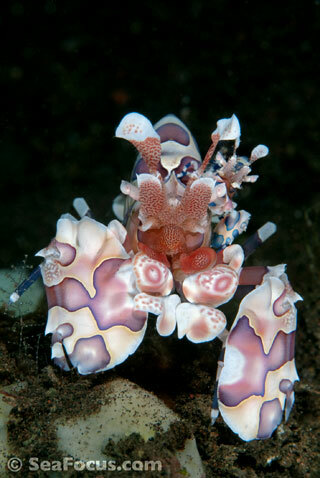 SeaFocus underwater photography includes marine species image galleries, featured diving photos and videos. 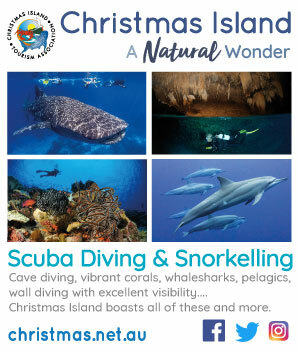 Resources... calendars, dive travel books written by SeaFocus, information and advice, news and views and links. Visit our sister company, See through sand for contemporary, kiln formed glass art.